Our staff’s primary focus is to assist you in achieving your personal fitness & wellness goals! Whether you are looking for a group class or prefer a one on one personal training experience, Quest’s Fitness Trainers will ensure you achieve lasting results you can be proud of! Azin started her practice as a yoga practitioner in 1998 while living overseas. The effect yoga has had on her mind and body, combined with the sense of calm and serenity made her fall in love with the practice. She knew then that she had found what her heart was longing for. It took several years after a tragic event in her life that she decided to pursue becoming a yoga instructor. She went for advance teacher training at Peachtree Yoga Center. Azin believes that yoga has a great impact on our mind, body, and spirit and that yoga itself, is a way of life. 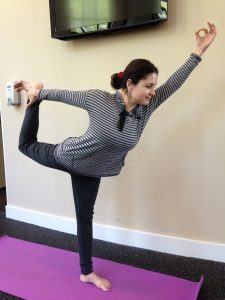 Azin’s teaching style is mainly derived from “Hatha Yoga” but she also incorporates “Brain Wave Vibration” from “Dahn Yoga”.She loves to share the many gifts yoga has to offer with her students. Kristen joined the fitness team here at Quest Women’s Spa & Fitness Center last December! She previously instructed at Restore Physical Therapy and Pilates. With over 12 years of practice, Kristen is trained to use Stott Reformer and holds her certification in Pilates and Group Fitness. 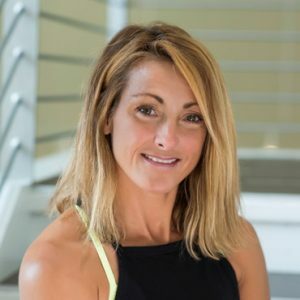 She brought with her a passion of Pilates and wellness Kristen moved to the Atlanta area back in 2012 with her husband Mark and daughter Andrea who currently attends Norcross High School. Denise Stein has been teaching Pilates classes for the last 17 years. She received her training & certification from Polestar Education, & The Physicalmind Institute. She has also held certifications to teach Barre Classes & Group Fitness Classes for the past 7 years. Currently at Quest Denise Teaches both Fitness & Pilates classes including: Reformer/ Tower Level 2, Barre Fusion, Power Tone, & Fitness Fusion. Denise also offers Private Training Sessions for individuals or groups, packaging options for multiple sessions are available.